Some of the world’s most prominent car manufacturers have unveiled their new vehicle releases for 2014, all of which promise to captivate car enthusiasts and provide new, technological advantages for the modern driver. Here are five of these new innovative models. Their releases throughout the course of the year herald a new, exciting era for the automotive industry. Jeep are synonymous for their superb line of SUVs and this new Jeep Grand Cherokee suggests the trend is set to continue. It is due for release in February 2014 and promises impeccable off-road capabilities coupled with luxurious interior features. The ride has been modified to better suit city use but there is an option to change the suspension, steering and other attributes to suit any driving situation. The Grand Cherokee boasts a 3.0 L V6 engine, capable of producing 237bhp and 549 Nm torque as well as four wheel drive, making it a universal vehicle for any adventurous driver. Skoda are poised to release a high performance variant of their classic Octavia in April 2014. It features the same basic design of the original Octavia yet the vRS features additional sport styled detailing. It will be available in both petrol and diesel versions, and is predicted to deliver an exceptional performance to rival current Audi and BMW versions. The petrol engine will be a 2.0 L turbocharged four cylinder unit, capable of producing 220 bhp and 380 Nm of torque, whilst the diesel motor will also be a 2.0 L unit, with a potential of 180 bhp and 380 Nm of torque. The BMW i8 is generating a great deal of publicity despite not being due for release until late 2014. This hybrid electric car claims to be able to go from 0-100km/h in a staggering 4.5 seconds, and is stated to be able to produce 362 PS of power and 570 Nm of torque. 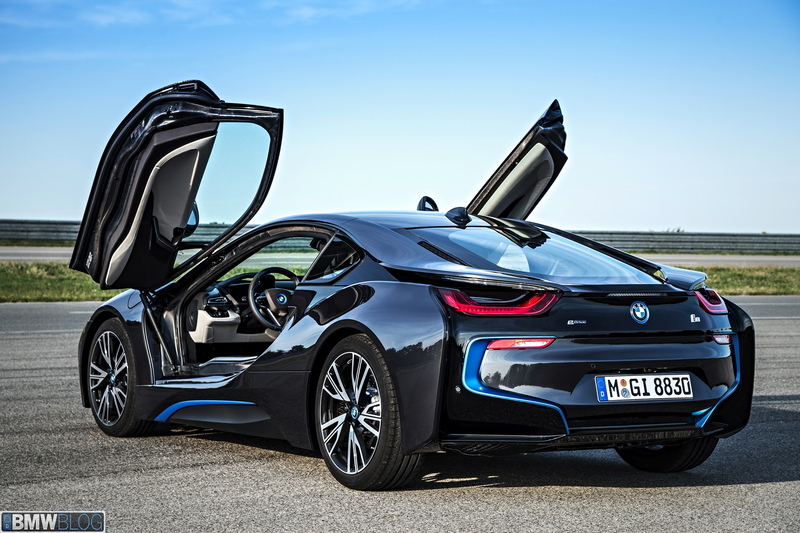 BMW confirm the i8 will feature cutting edge technological features and present to other manufacturers what an electric car can truly achieve. Intriguing indeed! Mazda’s new MX-5 will be powered by unique 1.3 and 1.5 liter turbocharged engines, with high-strength steels installed throughout the vehicle. It will be available in both canvas and folding hard-top roofs. Moreover, Mazda’s engineers have expressed their intention of stripping at least 100kg from the current MX-5’s weight, setting a target figure of 1,050kg. It is due for release in late 2014, by which time Mazda have vowed to optimize every component of the vehicle, from chassis architecture to drive trains, in order to improve its overall efficiency and drivability. The release of the Countryman will be a landmark in Mini history as it introduces the brand’s first ever SUV and also its first four wheel drive vehicle. The Countryman symbolizes a new trajectory for the company, as they unveil this model. It will offer a sheer size and air of practicality previously unheard of in Mini’s arsenal. Furthermore, the Countryman range will be vast, offering both two and four wheel drive versions as well as three petrol and two diesel engines. What’s more, Mini also promise to release the Countryman in a series of varieties, offering a huge selection of trim and option packs. This article was produced by Bradley Taylor. Bradley is a motoring enthusiast who loves cars and everything automotive but also writes across a variety of topics. I’m intrigued by the Jeep’s 3.0 diesel, glad they’re finally offering a diesel engine as an option in the U.S. While I love the SRT and the Limited/Overland Hemi Editions, the mileage on the 3.0 seems like it will be phenomenal, and with diesel it will be giving up nothing in towing or off road prowess. I feel like I should watching and episode of Top Gear (LOL). Good article though !